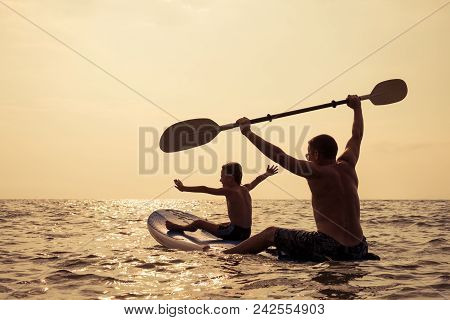 Father and baby son playing on the beach at the day time. People having fun outdoors. Concept of summer vacation and friendly family.